Nintendo Prepping New Console But Won't Release it Until Wii U Owners are "Satisfied"
The general murmurs and suggestions all indicated that Nintendo just really wants to move past the Wii U and put out a new piece of competitive hardware. It's going to happen because Nintendo is not backing down and is "not at a dead end of any kind," but Wii U owners are going to have have to be fully "satisfied" with their purchases before Nintendo makes its next move. Nintendo President Satoru Iwata has confirmed that Nintendo has begun prepping its next generation machine. "We are preparing for our next hardware system," he said in a Q&A statement to investors. "In fact, we already have a clear idea to some extent about the direction our next hardware is going to take." "Once we launch a new platform, we naturally start to prepare for the next one. As it takes several years to develop a single platform, if you ask us whether we are preparing for our next system, then the correct response will be that we are always developing new hardware. On the other hand, the most difficult question for us to answer in public in concrete terms is when we are going to launch our new hardware and what kind of hardware we are going to launch, and I am afraid that I cannot talk about this in more detail." All of this planning and prepping does not mean the end of the Wii U by any means. Iwata goes on to say that Nintendo will not make any new major hardware announcements until Wii U owners are "satisfied" with the "great value in our software." "I can certainly assure you that we are not at a dead end of any kind in which we are out of ideas for developing new hardware. I of course believe that launching new hardware will not produce good results unless we first make sure that those who have already purchased our platforms are satisfied. [T]he idea I mentioned about redefining the definition of video game platforms will also require approximately two years. This is how we would like to talk more about our mid-term measures and lead them to actual results. However, we will not be able to create a good environment for the company unless projects are undertaken simultaneously, so this is the kind of timeframe that we have in mind." So the Wii U's follow-up is already in the planning stages, and Nintendo has decided to dance to its own pace again by not going along with Sony and Microsoft in coordinating releases for a generational change. Nintendo can't compete directly with the two anymore, so it has to set itself apart as something else. What a better way than to defy their established "next-gen" mindset? Iwata brings up an interesting point, though. What is it going to take for you to feel like you've gotten the most out of your Wii U? Naturally, we need to see Mario Kart 8 and Super Smash Bros. before the console retires. Monolith Software's X is a huge title that inspired me to buy the console, and Bayonetta 2 is another game that I know a lot of people picked up a Wii U just for its exclusivity. 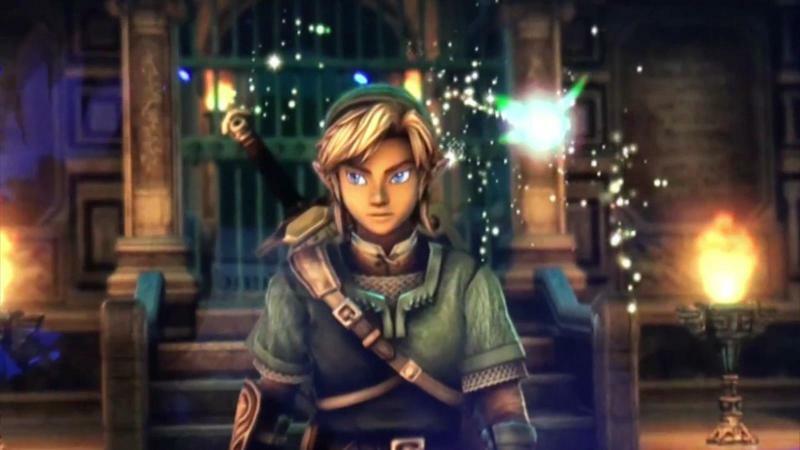 However, I think we can finally draw the curtain on the Wii U and move on from it once Producer Eiji Aonuma and his team crank out an original Legend of Zelda game that takes full advantage of the Wii U's HD capabilities. I could live without a Metroid or a Star Fox or a Kirby on this Wii U console, but all seems for not if I don't get my Legend of Zelda.